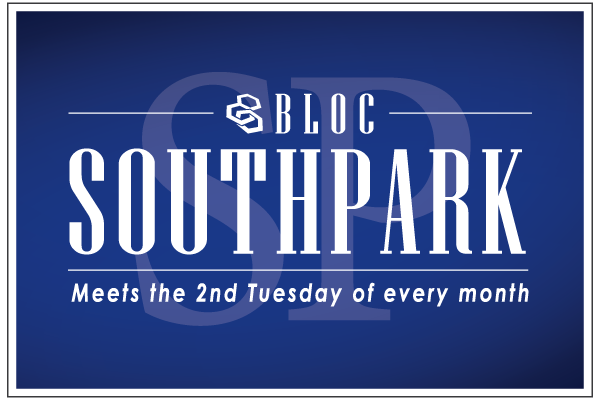 BLOC-SouthPark meets the 2nd Tuesday of each month at Brio Tuscan Grille. Start time is 11:45am, but members get there early for networking purposes and the meeting ends at 1:00pm promptly. This is a meeting for the MEMBERSHIP and their guests only. This gathering occurs once a month and is a great opportunity for BLOC-SouthPark members to catch up with one another. Lunch instructions; please arrive by 11:45 AM to Network. We begin promptly at 12 Noon and end by 1:00 PM. Brio offers Complimentary (Free) Valet Parking at the front door in the Traffic Circle (Roundabout). Please come inside, past the host stand to the back of the restaurant, we have a private room sectioned out just for us. Introduce yourself to the door attendant and sign in if you are a member and grab your name badge. If you are a guest, please fill out the guest section with your information and fill out a name tag sticker. Make sure to introduce yourself to the Directors and the Chapter Membership Committee Representative (CMCR) so we know you are there and what industry you represent. Brio presents us a limited menu of five options. Please let the Server know if you have any allergies or dietary restrictions that our limited menu cannot accommodate as stated. Circle the dish you want on the printed menu, write your name and your drink choice, lay your cash or credit card on it and set it near your seat so the Server can collect and send the orders to the kitchen by 12. We will begin the meeting promptly at noon and discuss BLOC, BLOC Business, Upcoming BLOC Events and have an opportunity to discuss each of our businesses with the group. If you have any general questions, please reach out the the Chapter Directors, if you have any Membership questions, please reach out to the CMCR.